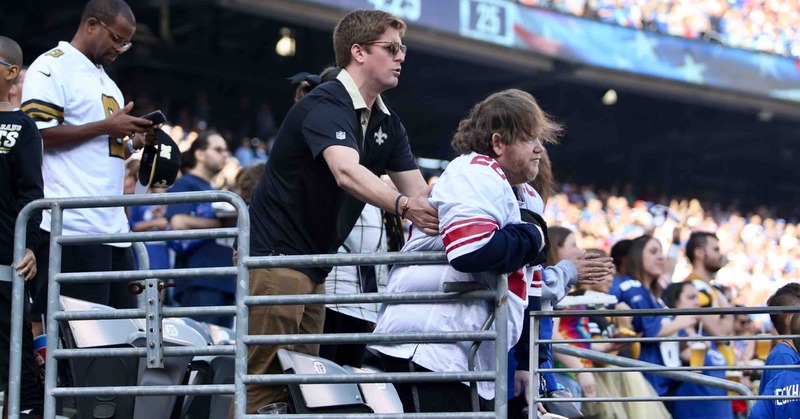 Giants fan, Saints fan – PHoto: Saints Fan Helps Disabled Giants Fan Stand. Though it’s typically the fights and brawls that get posted to the internet following football games that provoke people to yell and belittle others simply by the jersey they’re wearing, this is different – and refreshing. Ahead of the Saints-Giants game Sunday in the Meadowlands, NOLA News photographer Michael DeMocker captured this beautiful moment of a New Orleans fan helping a disabled New York fan he’d never met stand during the length of the National Anthem.